Hello Dealsnloot Readers, once again Shopclues is back with an awesome game through which you can grab free coupons worth Rs.250 by completing 5 levels. Do not worry, here in this post we also added tutorial to bypass all levels & win game so let's proceed & check out more detailed info about Shopclues Crazy Catcher Game.So Hurry !!! Grab This Loot Trick. 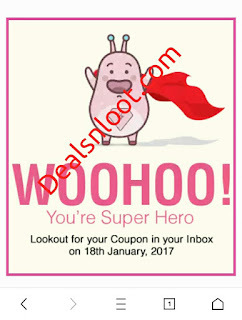 You Can Use The Discount Voucher On 19 To 26 Jan Shopclues Sale & Trick Added Below. 2. Register/Login to your shopclues account. 3. Start the game (timer will begin). Each level will be for 30 seconds. 4 Click/tap the falling products before they hit the ground. 5. Game has 5 coupons. The more level you complete the more will be the discount coupon. The value of your discount coupon increases with each successful level. So, the more levels you complete, the higher discount coupon you get. Note : Use Only PC (Personal Computer) to do the trick successfully.Use Pc To Use Below Trick And It’s Just For Educational Purpose. 5. Now In The Time Section You Will See Few 30000ms. 6. Change First One To 3ms And Click Play Again. 7. Now You Will Definitely Win That Level. 7. Now New 30000ms Line Will Be Added And Now Change That To 3ms & Click Go To Next Round. 6. Everytime When You Win A Level 30000ms Added , Just Edit That To 3ms Each Time. 1. Open game link in Mobile UC Browser. 2. Scroll down & click on Play. 3. Now wait for few seconds, let timer reach end point. 4. Click on Goto Next Round. 5. Again Wait & click Next Round. Keep repeating this process till 5th level. 6. 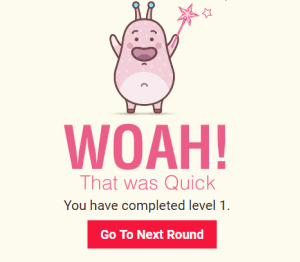 Finally after 5th level, scroll down a bit & then you can see Success Message " Woohoo! You're Super Hero. 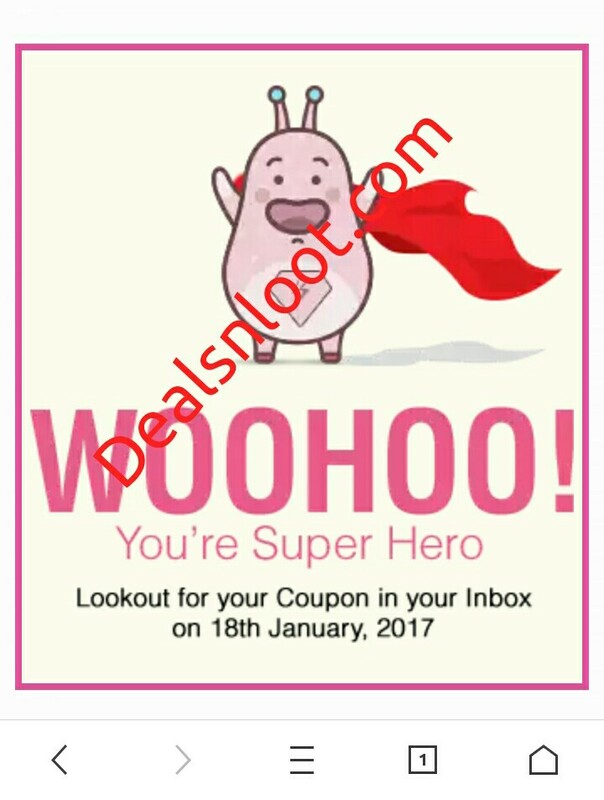 Lookout for your Coupon in your Inbox on 18th January, 2017".